When Ron Johnson, the new CEO of J.C. Penney (JCP) outlined his plan to revamp the department store this week at an analyst meeting, one announcement in particular drew gasps. Penney's is saying goodbye to coupons, percent-off sales, daily sales, clearance sales -- all the countless promotional ploys that department stores have relied on for decades to lure in shoppers. Instead, said the mastermind behind Apple's (AAPL) fabulously successful retail stores, come Feb. 1, the cacophony of promotions that has trained shoppers to distrust department store pricing will be nearly silenced. Instead, J.C. Penney is permanently marking down all of its merchandise by at least 40% to a new, "everyday low price," and the only sales will be "monthly value" discounts on select items, and "best price" sales held regularly twice a month. 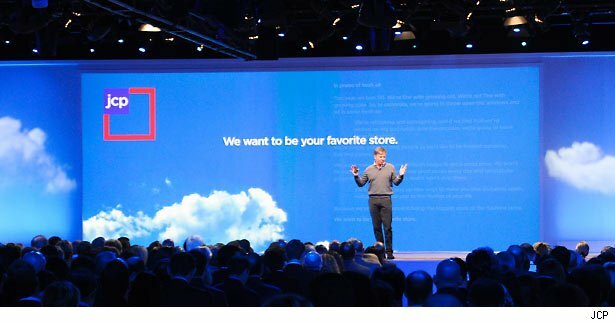 The new vision for J.C. Penney also includes purging stores of the sea of outdated merchandising fixtures from the 1980s and replacing them with a "Main Street of shops" that better showcases trend-right brands and "experiences" -- much the way the Apple store does. Indeed, Johnson was unequivocal about the big influence Apple and his old boss' ideas will have on shaping J.C. Penney's future. He predicts the chain's transformation will do nothing less than "change the way we all shop for everything we need and want." Really? J.C. Penney is going to single-handedly cure shoppers of their bargain-hunting ways? Get consumers excited about shopping at a department store, a format that has been hemorrhaging market share for years? This coming from a retailer that has lagged rivals like Macy's and Kohl's? The prediction sounds boastful and improbable. Here are four reasons why it just might work. Consider this: Steve Jobs redefined three industries: Technology, movies (with Pixar), and -- with Apple's sleek, modernist stores and their Genius Bars -- retailing. In 2001, Apple had only 3% of the technology market, and business was lackluster. It now commands 30% of the market. Today, J.C. Penney accounts for 3% of the retail market for apparel and home furnishing. Johnson believes that with the right ideas, its growth can mirror Apple's meteoric rise. Johnson already knows a thing or two about changing the way people shop. He not only built Apple's highly successful and influential retail stores, he redefined discount store shopping when he was the creative force behind Target's (TGT) "mass-tige" (mass-prestige) formula. In the late 1990s, Johnson helped bring in exclusive collections from high-end designers -- a tactic unheard-of at the time for a discount retailer. Target's string of partnerships went on to include lines from Isaac Mizrahi, Missoni and Jason Wu, among others. The price game department stores play -- an industry-wide "disease" -- is one big reason why shoppers have been abandoning them for other types of stores, Johnson said. "Just like America doesn't trust Wall Street," he said, shoppers don't trust that department stores' prices are fair -- and they're right. At the same times as shoppers have been getting savvier about prices, department stores have lost all price integrity: They're actually raised prices, but disguised those increases with constant sales, Johnson said. "Our customer will only pay the right price," he said. "To think you can fool a customer is crazy." J.C. Penney spent $1 billion on 590 sale events last year. Yet despite the constant discounting, 'the customer ignored us. It just doesn't work." The proof is that shoppers only visit J.C. Penney's store four times a year on average -- which means most of those events failed to bring shoppers in the door, he said. "Steve would have called this insanity," Johnson said. 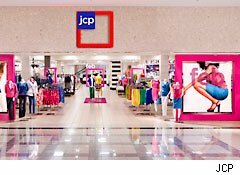 J.C. Penney's new "fair and square" pricing strategy reflects what shoppers have actually paid for an item, on average, using past sales data. Come Feb. 1, shoppers will see lower prices in stores every day. For example, a T-shirt with a base price of $14 last year, would now have a $7 "every day" price, a $5 "monthly value" price if it was one of the items marked down in a given month, and a $4 "best price." J.C. Penney will schedule those "best price" sales for the first and the third Friday of each month to coincide with when many Americans get paid. The retailer's overarching goal is to get consumers to shop there once a month instead of four times a year, Johnson said. The retailer is spreading its new pricing gospel in stores, online and in its print and TV advertising. One new TV spot screened during the presentation summed it up thusly: "No couponing, no discounting. Just fair prices." Because prices will be in line with what shoppers have been willing to pay, "we're not worried about price comparison" sites and mobile apps, Greg Clark, vice president of creative for J.C. Penney, told DailyFinance after the meeting. What shoppers will get out of the change is relief from being bombarded by an endless barrage of sales, which only confuses them about the right time to shop, Clark said. J.C. Penney will also change its merchandise and marketing monthly to reflect the "rhythms" of people's lives, Johnson said. February, for example, isn't just big for Valentine's Day but also home entertaining, so its "monthly values" items will reflect that, executives said. When consumers want a "great product" today, they more often go to specialty stores like J.Crew and H&M or Williams-Sonoma. Even within J.C. Penney, the Sephora specialty beauty shops out-perform the overall store -- and that's without sales promotions, Johnson said. Department stores accounted for about 60% of the retail market in 1992. Now, they're down to 30%, and a graveyard of departed chains from Marshall Field's to Stern's to Hecht's attests to the decline. "The institution that changed our lives, where we used to discover what was new on the product side," has lost its way, he said, while reminiscing about Dayton's, the department store of his youth. "The presentations are tired." Shoppers are done with wading through "an endless sea of racks." These days, they're looking for "curated" and edited merchandise, and that's what J.C. Penney will deliver, ditching its current landscape and rolling out 100 merchandise shops. The new model will showcase brands, such as an exclusive line from Martha Stewart that will launch in stores in 2013, in a way that tells a story, says Johnson. And just as the Apple store re-imagined how people would shop for technology, Stewart's shops will bring to life home goods and the domestic arts "in a way you've never imagined in a retail store"
He also hinted at a new service concept for the center of the store, dubbed Town Square, but would not elaborate on the details. Longtime retail analyst Walter Loeb, president of retail consultancy Loeb Associates, told DailyFinance the changes were a "revolutionary approach to retailing." "It will have other retailers waking up," Loeb said.